« The new look ECC website goes live! You are cordially invited to our 2011 Annual Dinner at Eastry Village Hall on Saturday 9th April 2011, 7pm for 7.30pm. Meals cancelled after Tuesday 5 April must be paid for. 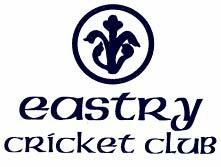 * Cheques made payable to ‘Eastry Cricket Club’.